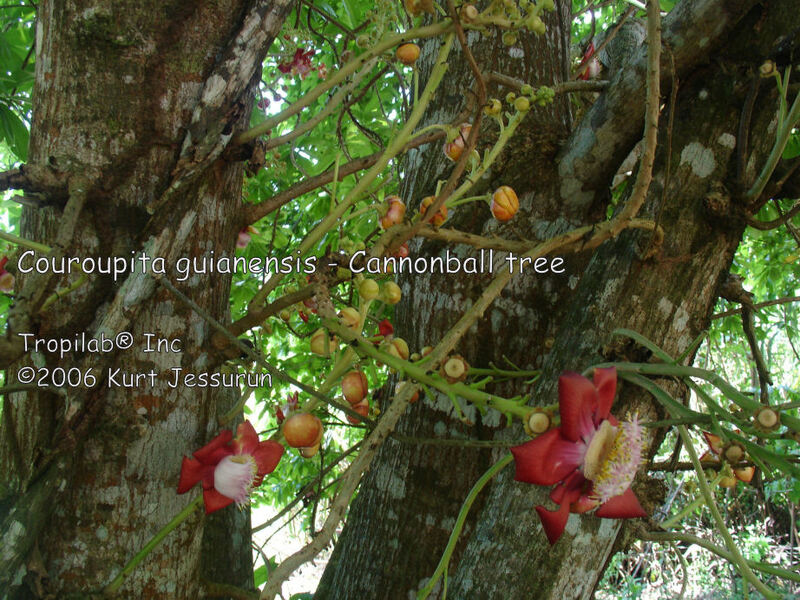 COUROUPITA GUIANENSIS - CANNONBALL TREE. 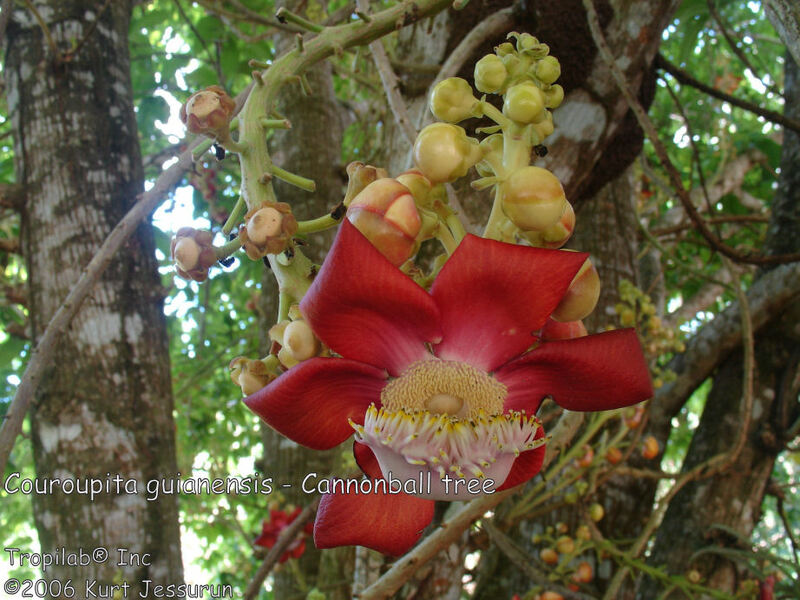 Cannonball tree, boskalebas, coco de mono, abricó de macaco, castanha de macaco, cuia de macaco, macacarecuia, sala tree, kanonenkugelbaum. A large deciduous tropical tree, 90' tall and indigenous to the Amazon rainforest. 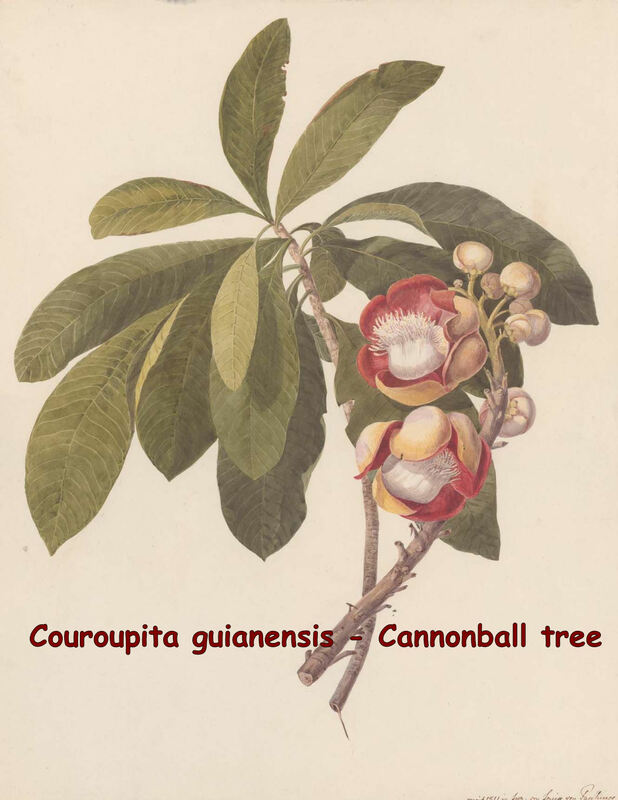 The leaves, up to 6" long, are simple with serrate margin; it flowers in racemes; the yellow, reddish and pink flowers are stunningly fragrant. 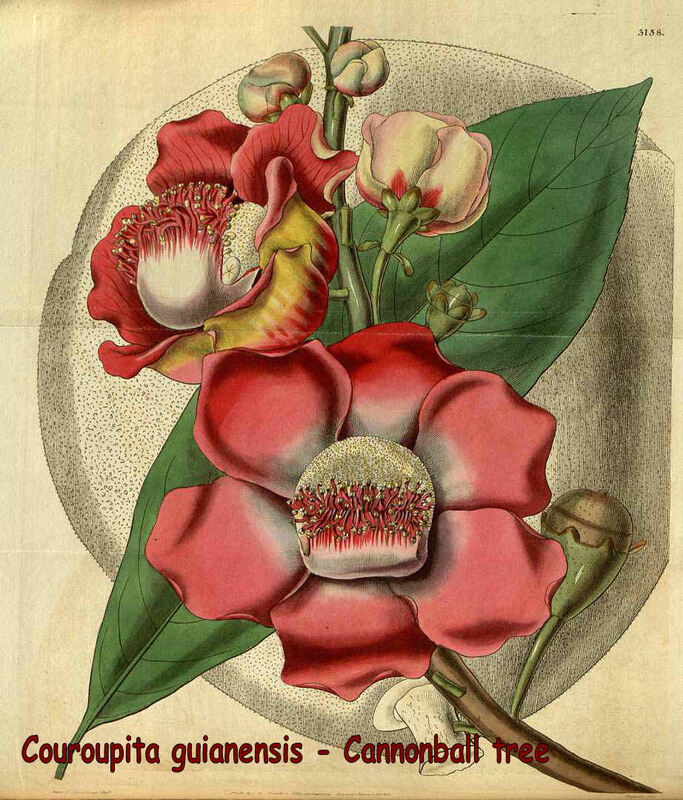 These are large 3" to 5" waxy aromatic smelling, pink and dark-red flowers, growing directly on the bark of the trunk (cauliflory). Pollination is done by bees and bats. 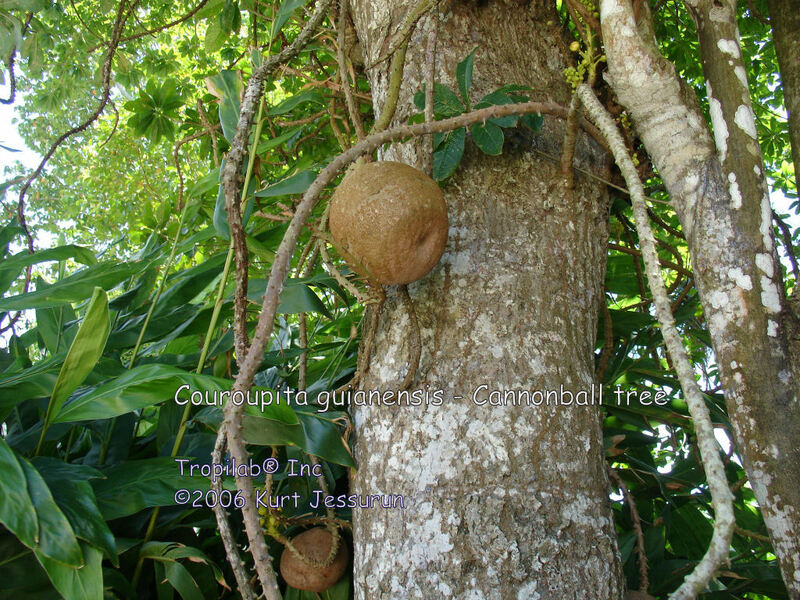 The tree bears, also directly on the trunk and main branches, large globose woody fruits; they look like big rusty cannonballs hanging in clusters, like balls on a string. 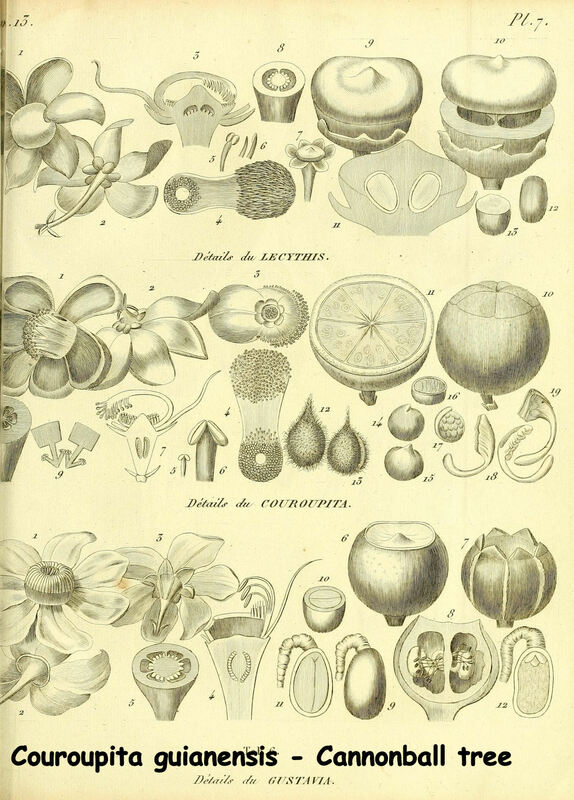 The fruit contains small seeds in a white, unpleasant smelling edible jelly, which are exposed when the upper half of the fruit goes off like a cover. 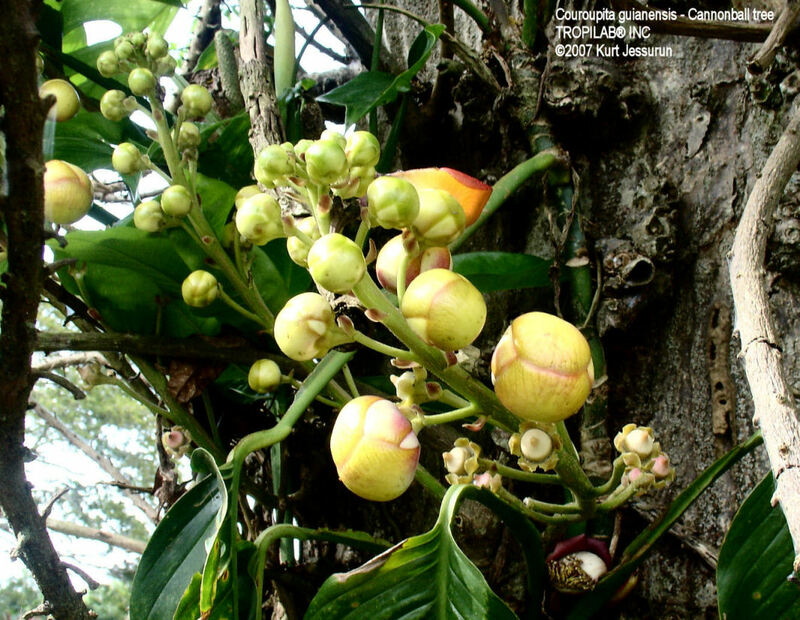 The long dangling fruity branches give the tree an unkempt appearance. The hard shells are used to make containers and utensils. 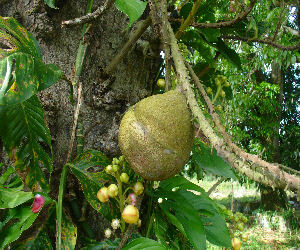 The fruit pulp, bark and flowers are used for medicinal applications and have antimicrobial- and fungal activity. Used to treat the common cold, stomachache, skin conditions and wounds. Full sun / partial shade, moist soil, needs high humidity. Very susceptible to frost; plant in frost free locations.